Improving the livelihoods of smallholder upland farmers in Laos and Cambodia through improved and integrated cassava-based cropping and livestock systems is a priority project of The Nippon Foundation. To this end, the foundation is funding a cassava research project implemented by the International Center for Tropical Agriculture (CIAT, its Spanish acronym) in Asia. Cassava is currently the third most important crop in Laos, after rice and maize. It is widely grown throughout the country by upland farmers, but up until recently it has been grown in small areas using local varieties and with very few inputs. The roots are used mainly for human consumption and for feeding livestock, especially pigs. Young shoots are also harvested for human consumption. Livestock are a vital safety net for vulnerable upland farmers in Indochina. Feed shortages are a common and major constraint to improving these livestock systems, but recent research in the region has demonstrated that dried cassava roots and leaves can overcome this problem, as a feed supplement for pigs, cattle, fish and poultry. This cassava project enlists local farmers' participation in the evaluation, development and dissemination of new varieties, improved production practices and more efficient animal feeding practices--something that will increase yields and income for upland farmers. work commenced in Laos in April 2004 and expanded to Cambodia in 2005. By growing cassava to feed their animals, the farmers are discovering a new source of cash income. Any strategy to assist these poor farmers has to tackle the issue at several levels: the stimulation of growth in agricultural productivity, the raising of incomes, and the conservation of environmental resources. Increasing population pressure in upland areas of Laos has resulted in such environmental changes as deforestation and increased soil erosion. This has meant a loss of soil fertility, increased weed pressure, and lower yields for the already poor rice farmers. CIAT has been working to address these issues for nearly 20 years. 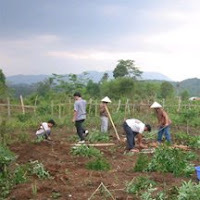 Through its programs, cassava farmers in Laos and Southeast Asia are conducting research to control erosion on their tiny hillside farms in a project funded by the Nippon Foundation in partnership with international and national scientists. The farmers test and refine new technologies in their own fields. The project provides accessible techniques and technical guidance that enable farmers to reduce erosion while intensifying cassava production. Cassava, which thrives under difficult conditions, is one of the few crops that can be cultivated on the marginal hillsides. Its starchy root was a staple food during the war years in Vietnam and China-as it is now in many drought or war stricken areas of Africa. "Cassava production in Asia has almost doubled in the last twenty years," says Reinhardt Howeler of the CIAT Cassava Office for Asia, based in Bangkok. "It is now the third most important food crop here. Even so, since many people associate cassava with hard times, they eat less of it--but continue producing it for on-farm feeding of pigs or for the starch and animal feed industries. In fact, cassava is the principal source of income for some of the poorest Asian farmers; nothing else will grow in their dry, infertile soil." The Nippon Foundation has also funded similar cassava projects in China, Thailand, and Vietnam: use of cassava roots and leaves for animal feeding, the latest developments in cassava processing into starch and many starch-derived products, as well as the development of cassava growth models. Domestic and international starch manufacturers are requiring increased supplies of cassava roots. Cassava starch is a base for modern manufacturing of pharmaceutical products, sweeteners, and flavoring agents such as monosodium glutamate. It is also used in the production of biodegradable plastics. Japan imports about 200,000 metric tons of processed cassava yearly. Rising demand offers farmers a compelling incentive to adopt the improved varieties they are testing under the Nippon Foundation-funded project. In addition to increasing yield, these varieties grow more quickly, thus establishing ground cover earlier to protect the soil from erosion by wind and rain. Cassava is also used as a raw material for industrial goods such as plywood. It is one of the highest-yielding starch-producing crops in the world, with a yield greater than rice or corn and second only to sugar cane. Because of this, and because producing starch from cassava is relatively cheap, it is now being eyed as a biomass source for fuel production. Given the current high oil prices, and with many countries moving to increase biofuel use, this is a significant development. 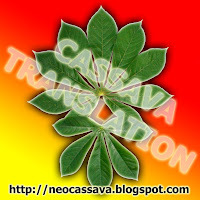 Understanding the cassava genome will help to develop the plant to this purpose as well. Nigeria continued, a high price for the economy's to pay dependence on strange nations for the supply material of the main food consumer durables. 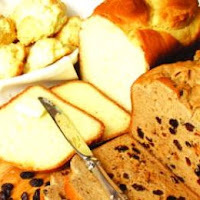 In case of bread that there is a necessity, hybrid cassava flour as to develop means of the avoidance of the difficulties, which are caused by the new global migration in the price of wheat. The global migration in the food prices would not have affected unfavorably Nigeria, if it were a producing economy; rather the nation the crisis ausgen5utzt to have, in order to cause more wealth, economic development increased and improves the welfare of its citizenry. In the same vein the nation did not become the new bakers' suffered; strike, if them had developed an alternative to wheat flour in bread production. In the country it seems, an exaggerated respect for cassava flour in the comparison with composition or cassava flour gives. People have burdened their minds with the skewed view that cassava cannot be used to make bread and, based on this view, have summarily dismissed the use of cassava for the production of bread. The government, the researchers, the bakers and other keepers must the giant task of the scattering of this rather deeply lying misunderstanding shoulder. Cassava, known in botanical circles as manihot esculenta crantz, is imbued with multifaceted potentials, but the actualisation of the economic and nutritious potentials depends on the volition and action of humans. The clarion call is for Nigerians to turn to composite or cassava flour, not necessarily as a replacement for wheat flour, but as a diversification alternative aimed at forestalling future bakers' strikes, reducing the cost of bread, boosting the economy and ultimately bettering the lives of the populace. On this note, Sanni Tayo, the chief technologist of the Botany Department, Lagos State University (LASU), called for adequate funding to enable researchers pry into the deep recesses of nature to unearth and magnify the veiled potentials of cassava, thereby developing high-quality hybrids of cassava for bread production. The fact that cassava is produced in large quantities in Nigeria it supports arguments after the production of bread of cassava. Nigeria among the largest producers of cassava in the world, and into 2002, it was built in a number first in proportion to it produced 34 million tons of cassava. Nervous disorder the organization of food and agriculture by the United Nations (FAO), shows that in Nigeria, " the production of cassava builds into a number is first, followed after the production of sweet potato to 27 million tons into 2002, the sorghum to 7 million tons, by millet to 6 million tons and by rice to 5 million tonnes." 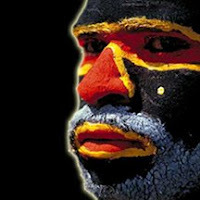 It is not similar on in the case the cassava, Nigeria depends heavily on foreign nations for the supply of wheat flour. To above 4 million tons of the import of annually, Nigeria it went by the greatest single importer of wheat from the USA afterward, into 1992, it raised prohibition 1987 it established on the importation of wheat. The ban was meant to encourage and enhance local production of wheat. If the resources pumped into the importation of wheat flour were channelled into the local production and processing of cassava, it is likely that we would have succeeded not only in making bread more affordable to the masses but in also providing more jobs for the teeming unemployed in the country as well as increasing Nigeria's Gross Domestic Product (GDP). 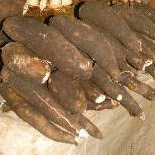 The federal government, through collaboration with research institutions such as International Institute of Tropical Agriculture (IITA), Ibadan, Federal Institute of Industrial Research Oshodi (FIIRO) and National Root Crops Research Institute (NRCRI),Umahia, can boost cassava production locally. While research institutes such as FAO have set a conservative production target of 60 million tonnes of cassava for Nigeria by 2020, some other experts, extrapolating from historical production levels, have put the target at 150 million tonnes by 2020. The production of bread from cassava is a veritable measure the government could employ to forestall bakers' strikes. Nigerians are now accustomed to the periodic industrial action of the Association of Master Bakers and Caterers of Nigeria. Just last year the association went on a week-long strike after President Yar'Adua did not succumb to their request of authorising the flour millers to reduce the prices of flour. This year again, the association has embarked on another strike. According to Lateef Oguntoyinbo, the Lagos State Chairman of the association, the strike stemmed from the government's failure to address the hike in flour price against the backdrop of the global food crisis. The prices of bread in the country soared by 25 percent during the period. The minister of Commerce and Industry, Charles Ugwuh, hinged the hike in flour price to the global food crisis, saying, "Whatever may be the cause of the global food crisis its impact on Nigeria is real." From the above, the onus is on the entirety of Nigerians to ask one pertinent question: For how long shall we continue to catch cold each time the global economy sneezes? Perhaps, it is for as long as the Nigerian economy heavily and inextricably depends on foreign nations for the supply of major food commodities such as wheat and rice. The nation does not have to sneeze each time the global economy catches cold once potent strategies are put in place to cushion the effects of the global "economic cold". One of such strategies is resorting to massive cassava production and exploiting its dormant multifaceted potentials. According to Ghana's Minister of Food and Agriculture, Ernest Akobuor Debrah, Ghana has started deliberating on the use of composite flour for bread production, with the composite flour containing 20 percent of hybrid cassava and 80 percent of wheat. What is Nigeria waiting for? Some concerns have been raised about the nutritional level of cassava as compared to wheat. According to Richard T. Sayre, a researcher at Ohio University, USA, the protein-to-energy ratio in cassava is dismally low, as typical cassava-based diet gives below 30 percent of the minimum daily protein intake and provides only 10-20 percent of the needed quantities of zinc, iron, and vitamin A and E. In an interview with Business Day, Sanni Tayo, shared Sayre's view, adding that cassava can be toxic and contains a relatively small amount of gluten, which is necessary for consistency in bread. He, however, stated that with some genetic modification, a hybrid cassava with high gluten and high nutrients can be produced, only that the cost of production may be much. "We may want to produce a hybrid cassava that is highly nutritious and high in gluten. However, the cost of producing high-gluten cassava can even be more than that of the ordinary wheat. Since what we are trying to minimise is cost, the project may turn out to be counterproductive," Tayo remarked. Chris Deillion, the manager of Deillion Bakery, expressed doubt about the acceptability of cassava bread or bread made from composite flour. He argued that consumers are accustomed to wheat flour and the change to cassava flour would be difficult. "People first eat with their eyes before they eat with their mouth. Their taste buds have become accustomed to wheat flour and changing to composite flour would be very difficult," he stressed. For Deillion, it is myopic to focus on just the hike in wheat flour to the detriment of other vital elements that go into the production of bread. These elements include electricity, sugar, and packaging materials. Focusing on power, he registered his dissatisfaction with the epileptic nature of power supply in the country. "Our generator has been on since 3 00AM and it will remain like this until night," he lamented. Another Lagos-based baker, who pleaded anonymity, opined: "Cassava is already being used for a lot of things, for instance 'fufu', 'lafun' and 'garri'. If we now use it to make bread, we are multiplying its usage. The question is whether the farmers would be able to cope with the demand for cassava if we turn to it for the production of bread." Martin Oke, a political science student of Lagos State University (LASU), could not just imagine himself eating cassava bread. "If I don't know that the bread is made from cassava I will eat it, but if I know ahead of time, I won't. I believe the taste won't be as good as the one from wheat," he asserted. But Ifeoma Okonkwo, a retailer of wheat flour at Orile market, has a different opinion, "I don't mind eating cassava bread if it would taste nice and be cheaper than the one made from wheat." Asked if wheat flour should be abandoned, she remarked: "Instead of abandoning wheat flour for cassava because of the rising wheat price, bakers may consider buying the two types of flour, produce bread with them and then allow the consumers to make their choice." I’m gearing up for preschool to start in September, when I won’t be right there to help my son with frustrating food in his meals. This means putting myself in his shoes when I’m packing his lunch, trying to imagine what’d give him problems if he were eating solo. Kids this age are still perfecting utensil use, so it’s important to either cut things small or pack finger food. This month I’m going to try to pack his lunches as if he were already eating on his own, to get both of us into the swing of things. We did have an eating milestone today, though: Bug successfully used real chopsticks for the first time! I’d packed both fork and chopsticks for him and figured he’d go for the fork, but last week he saw his little friend Maya using little chopsticks and wanted to be like her. He polished off all but a couple pieces of salmon using only chopsticks — I was floored. I guess I should enjoy positive peer pressure while it lasts, right? Contents of preschooler lunch: Mango and romaine lettuce with homemade vinaigrette, grilled wild salmon with a mustard seed glaze, and boiled cassava root (a.k.a. yuca, manioc or casava) with salsa Criolla (Creole sauce: a vinegary fresh salsa often served with grilled meats or vegetables). My husband and I had some outstanding roasted cassava and salsa Criolla last month at a local Peruvian restaurant, so I made a note to duplicate it at home. I took a shortcut by boiling the cassava instead of roasting or grilling it, but the vinegary salsa complemented the potato-like cassava nicely. Morning prep time: 8 minutes, using all leftovers from dinner. Packing: Bug isn’t a fan of mixed salads, so I separated out the lettuce from the mango and put his dressing in a cute sauce container. I cut the salmon and cassava into bite-size pieces and removed the salmon skin to head off eating frustration. There’s a tough little stringy bit that runs through the very center of the cassava, so I removed that as well. Packed in a single 350ml container from a Lock & Lock lunch set. Cookbook: I found the Creole salsa recipe in award-winning cookbook The Book of Latin American Cooking by Elisabeth Lambert Ortiz. From the book jacket: She “describes how the Spanish, Portuguese, African, and Middle Eastern influences have combined with the indiginous cooking of the Maya, Aztec, and Inca civilizations.” An interesting read with extensive commentary on each recipe. My lunch: Contents are the same as Bug’s, but the grilled salmon is intact, the salad is mixed up, and the cassava is in larger pieces. Because I didn’t have to cut things up, I was able to pack this in 5 minutes. Packing: I rotated the cassava chunks in the box to create gaps in the corners for the fresh salsa. This saved me from using sauce containers or condiment cups, and the salsa was dry enough that it didn’t leak sauce onto the salad. But if it had leaked, the vinegar of the salsa would have complemented the vinaigrette for the salad, so I didn’t worry too much about it. Of course, after I packed this up, I shoved it unceremoniously into the diaper bag sideways, cassava-side first. Yes, I know Japanese books say you should carry your bento flat, but that’s just not practical for our lifestyle. So our lunches are packed to survive rough treatment. Packed in a 500ml Leaflet bento box, which is actually a little small for an adult woman my height, according to the bento box size guidelines. 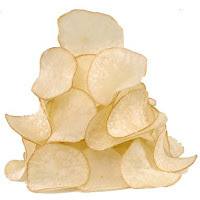 CASSAVA chips, which will be manufactured by Trinidad and Tobago agrarian business relation (TTABA) balanced, in order to register the menu of the drawing in program of the school. A TTABA it said speakers that CASSAVA chips, which was introduced at the schools was a large success. Accompanied of the pawpaw ketchup, the plate helps to reduce the quantity roti and the rice those on a daily basis at the nation' are served, According to the latest illustrations with 813 schools were served to 132,044 meals on a daily basis. The meals are prepared by 76 food suppliers in the country. TTABA officials plan to supply Cassava as well as sweet potato chips with the pawpaw ketchup, which is manufactured by the product of garden, which is cultivated by the local farmers. Thousands of pounds of cassava and sweet potato will be bought from TTABA, that have contracted the cultivators in order to plant the acres of the three harvests, including pawpaw, cassava and sweet potato. "Wherever we take the integrated circuits of cassava and sweet potato chips with pawpaw ketchup, we have found the consumers enthusiastic", TTABA executive of Farouk Khan, have said. The TTABA civil employees are now in the argument with the dietetic services of the national schools limited (NSDSL) of the formation ministry in order to include the integrated circuits of the sweet potato and the cassava in the program d' feeding of the school. NSDSL introduced smart menus in September 2006 under the theme, "Making it cool to eat in school", and reported that pizza, roti, roast chicken with barbecue sauce, fried rice and chunky vegetables, fried chicken, curried channa and potatoes with paratha roti, pommecythere or mango amchar and callaloo would be served to the nation's primary school children. Tropical foliage plant grown as an annual in all but southern-most Texas. The variegated form is prized for its vivid chartreuse/yellow patterned leaves. Native of South America. Variegated tapioca is a heat lover, and in fact does not grow vigorously until the night temperatures are consistently above about 60 F. This plant requires a well drained soil or container potting mix, but it tolerates a wide range of pH. Keep the growing medium moist, and mulch if planted in the soil. 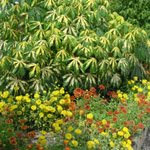 Supplemental fertilization is usually required since this plant displays best when it grows rapidly. Plants are most colorful when grown in full sun. Tapioca is one of the common names of Manihot esculenta 'Variegata' as is cassada, cassava, manioc, yuca, mandioca, shushu, muk shue, cassave, maniok, tapioka, imanoka, maniba, kasaba, katela boodin. The reason we chose the name tapioca is because it is the name of a favorite dessert of mine - tapioca pudding. Tapioca is sort of like Poke Salad made from Poke weed in the Southeastern U.S.-- if the cook doesn't know what he is doing, the meal will kill you! Cooking destroys the prussic acid. In South America, the green leafed Tapioca is grown for its enlarged starch-filled tuberous roots. There is a bitter, poisonous- and a sweet, - nonpoisonous variety of tapioca; however the skin stays poisonous and the sweet variety must be peeled. There are hydrocyanic glucosides (HCN) in all parts of the plant; these glucosides are removed by peeling and boiling in water. The peeled roots of the sweet variety is what the original tapioca pudding was made. I remember enjoying a version of this when I was a baby in Tennessee. I wonder if they were trying to poison me?!? The root of the bitter variety is very poisonous when raw but cooking destroys the hydrocyanic acid -- the cooking water must be discarded just as when cooking Poke Salad. The young leaves are used as vegetable and contain a high amount of vitamin A and C but older leaves are not often used. The bitter ones are grated, diluted in water and pressed in a cylindrical basket-work "press" to extract the juice. The paste of tapioca can be baked into pancake-like bread while the extracted juice is fermented into a strong liquor called kasiri. The juice can also be concentrated and sweetened until it becomes a dark viscous syrup called kasripo (casareep). This syrup has antiseptic properties and is used for flavoring. All of this is to warn folks that variegated tapioca is a clone of a tropical food plant, however, the milky sap of the foliage contains cyanide compounds and SHOULD NOT BE EATEN. Instead of eating this beautiful ornamental plant, go to the closest fast food place to satisfy your hunger. Also, don't worry about your pets eating enough to hurt themselves because all parts of the plants contain distasteful cyanide compounds and have a rough texture which is not very palatable. Deer will eat tapioca but it does not spoil the venison.